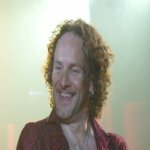 Def Leppard guitarist Vivian Campbell has heavily hinted that the 2014 tour will be announced on Monday 17th March - St. Patrick's Day. The announcement could have been slightly delayed from this week by a NIN/Soundgarden summer tour (on sale this week). Vivian also said at least one show in Canada has been booked (quite possibly Toronto). And said the next Dublin recording session will take place in "late May". Journalist Mitch Lafon is "alleged" to have said the tour will be "co-headline" and feature Night Ranger as the opening band. Night Ranger played with KISS on the last KISS Kruise which took place in late October/early November 2013 from Miami to the Bahamas. In addition to this KISS frontman Paul Stanley has told fans on twitter they will play in the following cities/states in 2014 - Toronto, Dallas, Minnesota. This adds to his statement from an online chat in January where he said the band would likely play in Detroit this year. All of this should hopefully be revealed/cleared up in a weeks time!. When are the tour dates going to be announced? "When Irish eyes are smiling..."
"I've only seen one proposed Canada date so far. Having said that, tour is not yet 100% booked, so there may be more." "Done for now. Next session late May." “@P19379629: @PaulStanleyLive Does Kiss plan on coming to minnesota this year?!!!!! :)” Yes! “@RockedThemAll: @PaulStanleyLive you comin to Dallas, TX sometime this year?”Yes!